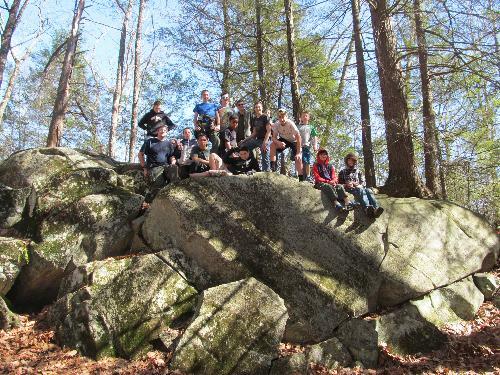 The troop’s adult leadership consists of a Scoutmaster, a Committee Chairman, a Charter Organization Representative, a Treasurer, several Committee Members, and several Assistant Scoutmasters. However, one of the fundamental teachings of Boy Scouting is youth leadership development. If operating properly, a Boy Scout troop is run by youth leaders, with the adult leaders acting solely as mentors and advisors.